Workshops Worldwide » Coming to Central PA? There are some local yogis who have rooms to rent. Please let me know if you are interested. If you prefer a hotel (sorry we don’t have affordable B&Bs around here) there are some suggestions below. Located on the banks of the beautiful Susquehanna River just blocks from the Riverfront Park and many restaurants. This hotel also houses the Indian Restaurant ‘Passage to India’ and is 3-1/2 miles from Be Fit Yoga (about a 5-8 minute drive). Just down the road from Be Fit Yoga open both Friday and Saturday. All your typical Farmers Market fare plus many home cooked foods. A great little coffee shop just half a block from BeFit. Rice and beans the perfect yogi food . . . Excellent burritos custom made to your order and located just down the street from Be Fit Yoga. Central PA has beautiful trees and woods. We have several parks and hiking trails close by. Nested in the hills on the outskirts of Harrisburg, it offers a huge lake with miles of trails and a nature center. Located just across the river only a couple miles from Befit is a 4-1/2 mile long ribbon of green space and gardens along the Susquehanna River. Also you can walk across the historic Walnut Street Bridge to City Island, which is a little island in the Susquehanna that hosts entertainment, sports, and foods. A ring of greenspace recreational trails and gardens located around Harrisburg. From different points on the greenbelt you can access Wildwood Lake, River Front Park, and Reservoir Park. Lots of hiking trails, a lake, a park, and camping. A beautiful state park that is less than 30 minutes from BeFit. Another even more beautiful state park that is about 40-45 minutes away from Befit. 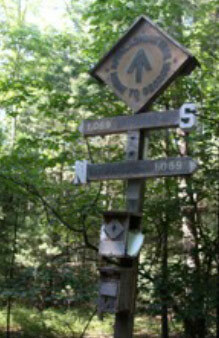 There are lots of hiking trails, including 39 miles of the Appalachian Trail of which the midway marker is on (the half way point of the entire Appalachian Trail). Also hiking the Pole Steeple Trail to the top will give you a beautiful view (it is steep for about 1/2 a mile). Also BeFit is less than 30 minutes away from Hershey, PA and all its attractions; including Hershey Park, Zoo America, Chocolate World, HersheyPark Stadium and Giant Center (shows and concerts), Hershey Bears Hockey, etc. Or on the softer side . . . We do have lots of day spas in our area (including a very upscale spa in Hershey) and good massage therapists.